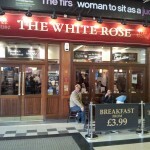 The White Rose seems to be the less popular of the two pubs in the train station (the other being the Wetherspoon’s), and this may be due to their smaller beer selection. 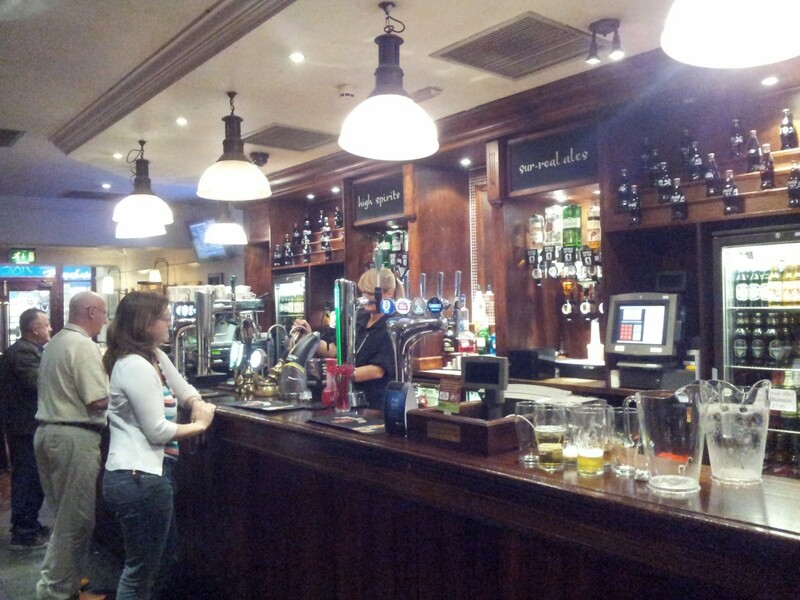 They offer just three very plain cask ales and no guests, with a below average selection of bottled lagers. They do have a full menu and serve breakfast late into the day — we visited at 2pm and it was still available — and the prices are average for pub fare (£8-£12 for a main). 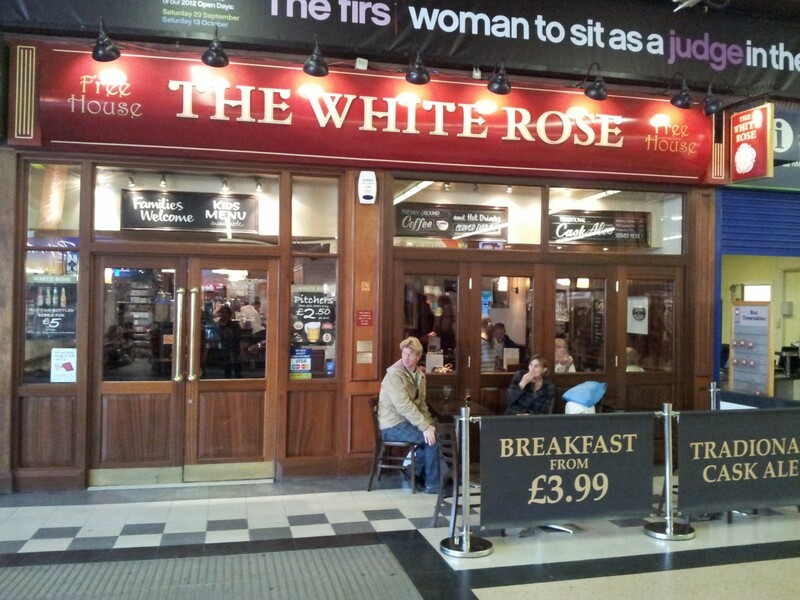 Not a haven for sports fans, this pub has no TV screens except for a live departure board, so it’s a good place to enjoy a beverage before catching your train. There are a few sofas for cozying up, but overall the decor is very ordinary, and we personally could live without the fruit machines. 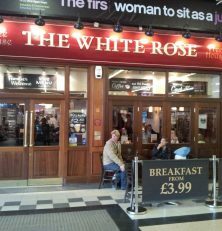 All in all, the White Rose is a very standard mainline station pub — there’s nothing to love about it and nothing to hate about it. it’s basically a slot machine. they’re all over in pubs and bars here in the UK. Nothing to hate about it? That sounds like a challenge. How about the feeling of being stuck in the mezzanine level of a claustrophobic airport terminal with only inebriated slovenly Leeds blokes and forever whirring fruit machines for company? How about fake wood, appalling carpets, sterile harsh strip lighting and the sense that life itself no longer has any value if this is what things have come to. 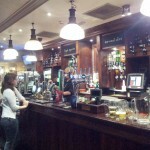 Flee to the Brewery Tap or Wetherspoons- what are you doing? !